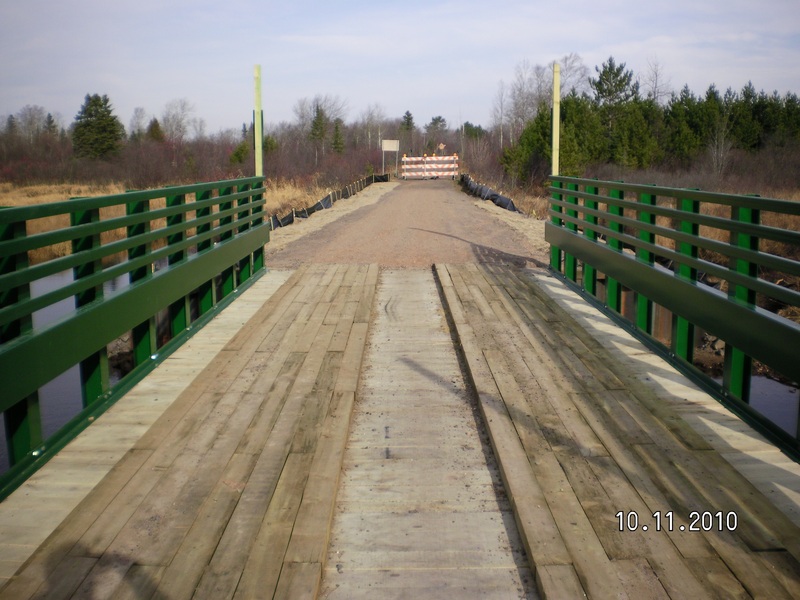 Project consisted of clearing & grubbing shoulder of trail for new excavation and bridge approaches. 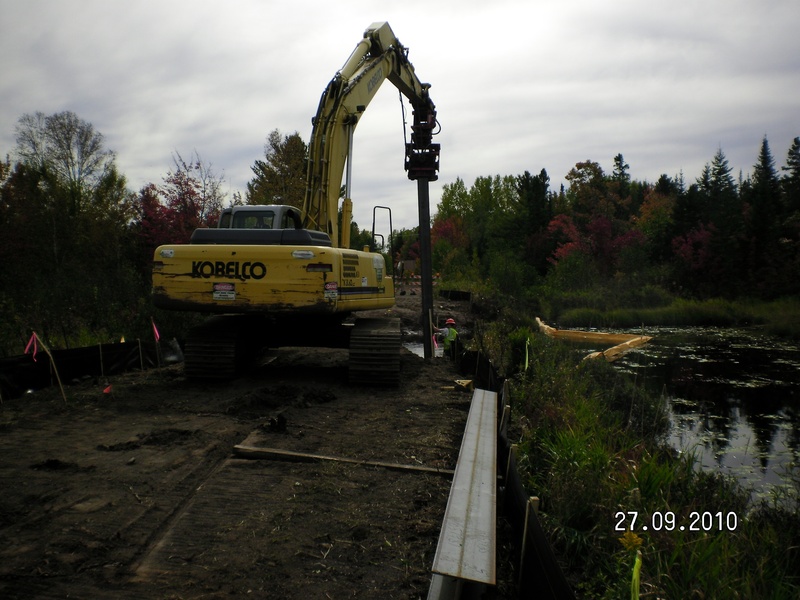 Silt Fence & Turbidity Curtain were used as soil erosion control. 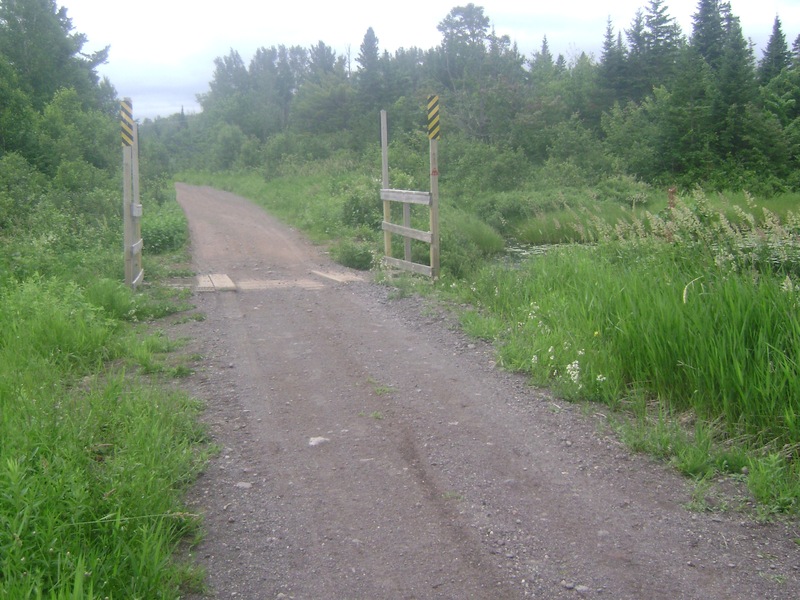 Removed and disposed of 16’ wide by 8’ long existing timber bridge and timber abutments. Excavated 300 CY of creek bed/trail for the new bridge and foundations. Hand Excavated around existing fiber optic cable. 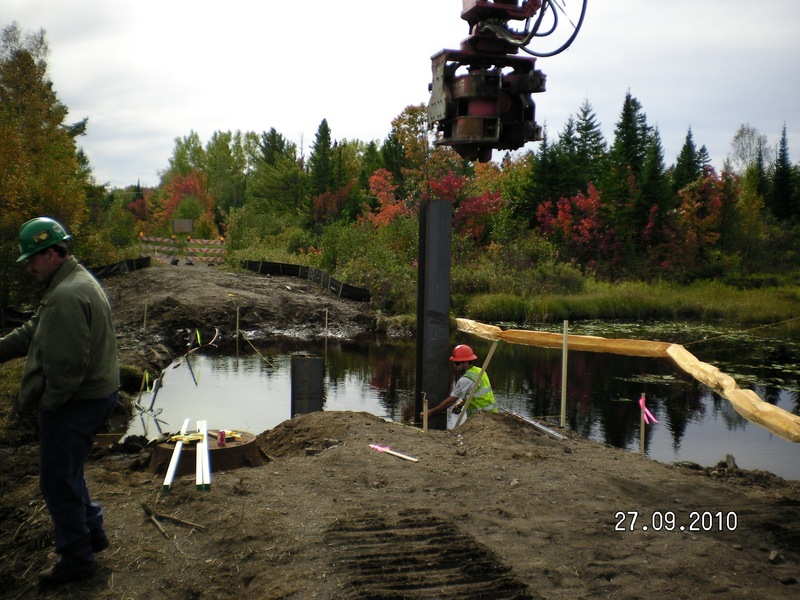 Installed 7 ton of H-Piles & cap along with 13 ton of PZ-22 Sheet pile and cap for the new bridge foundations. Placed 120 SY of Channel protection rock and 450 SY of MDOT 22A road surfacing. 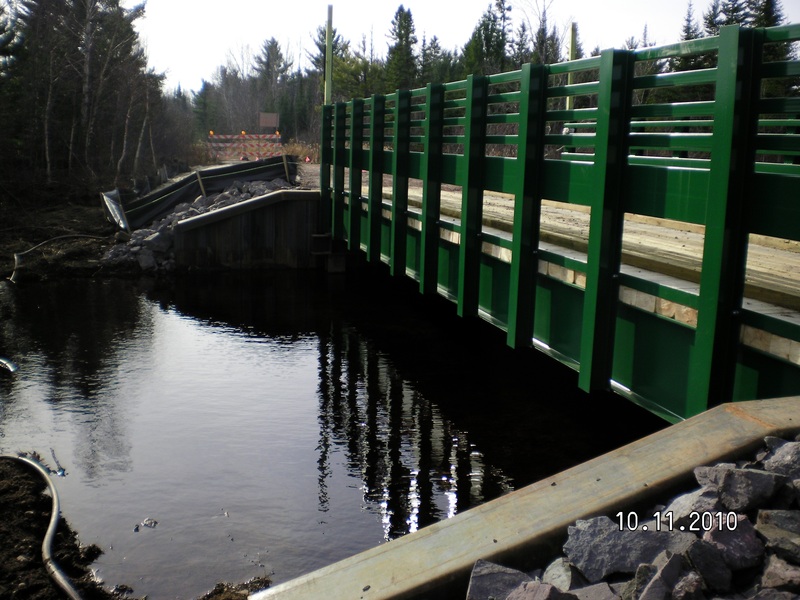 Installed 16’ wide by 40’ long steel bridge structure with timber decking, running boards, side rails. Placed 150 SY of Top soil, seed, and mulch for site restoration.